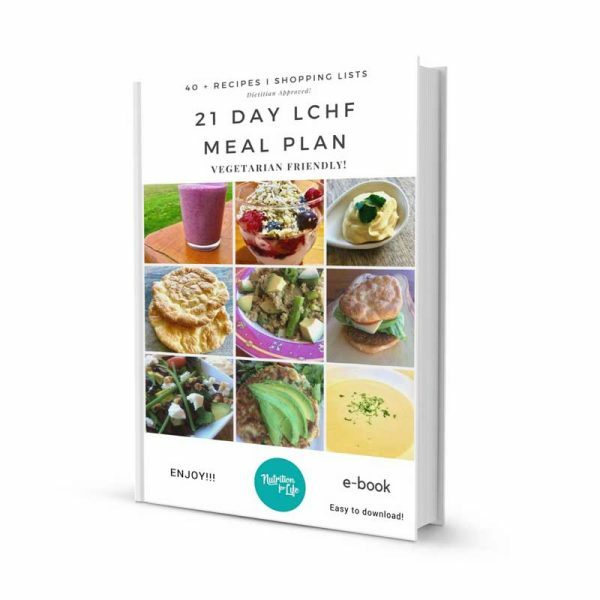 Transform your health and break your carbohydrate and sugar addiction with the help of our 21-day LCHF meal plan. Comprehensive and developed by our qualified team. 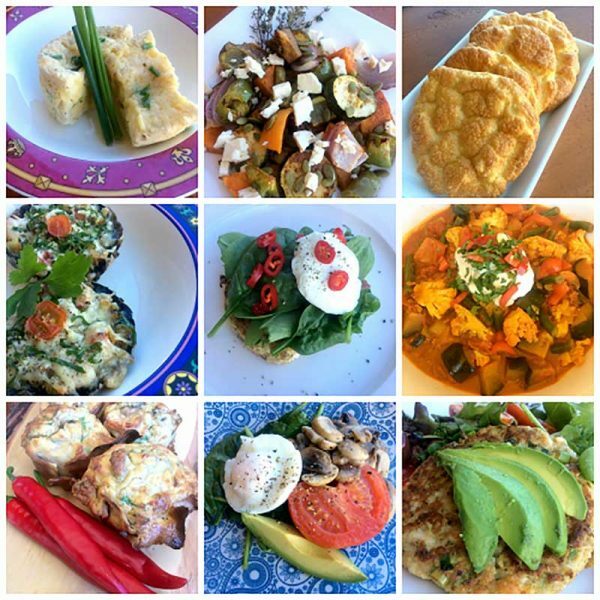 Real food eating without the meat or fish options. 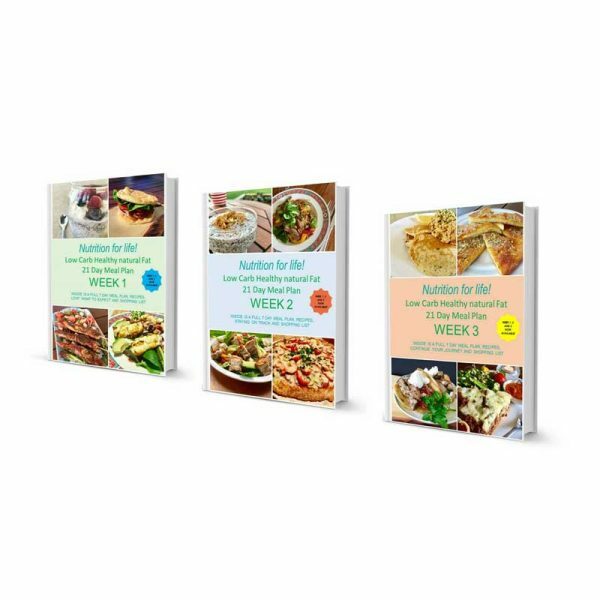 A 21-day vegetarian meal plan suitable as a vegetarian friendly option. 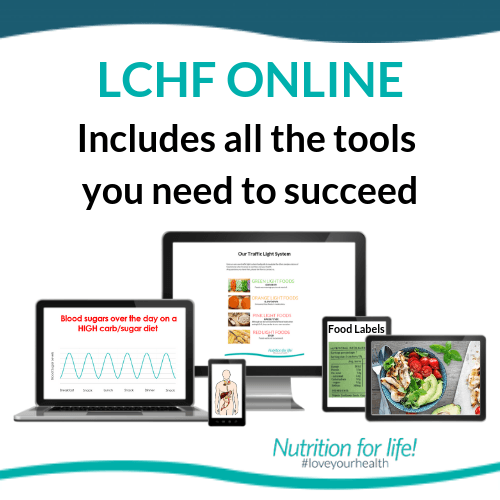 Start our Online LCHF Program now and learn to #loveyourhealth. Check out our full program details! We want you to be set up for success. 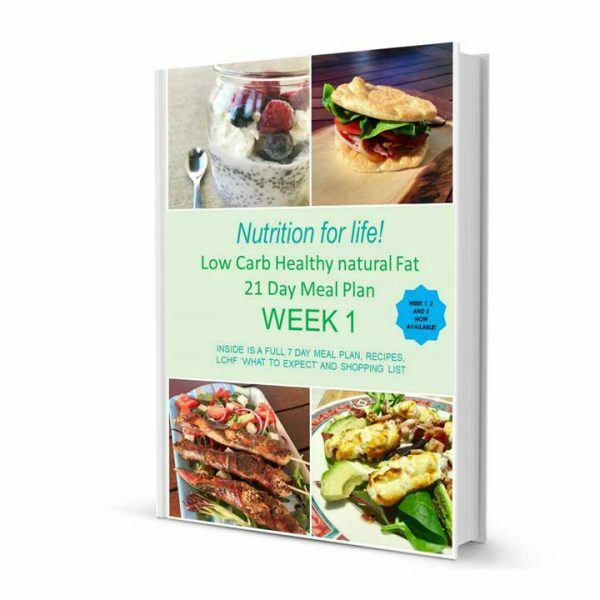 We have taken our Diet Diary Tracking online. 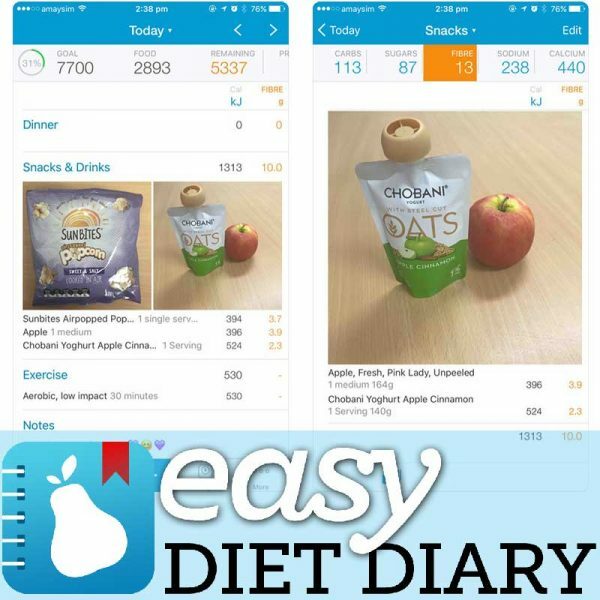 Now you can have the convenience to download the Easy Diet Diary food tracking app to your phone, and have one of our qualified team members review it for you. 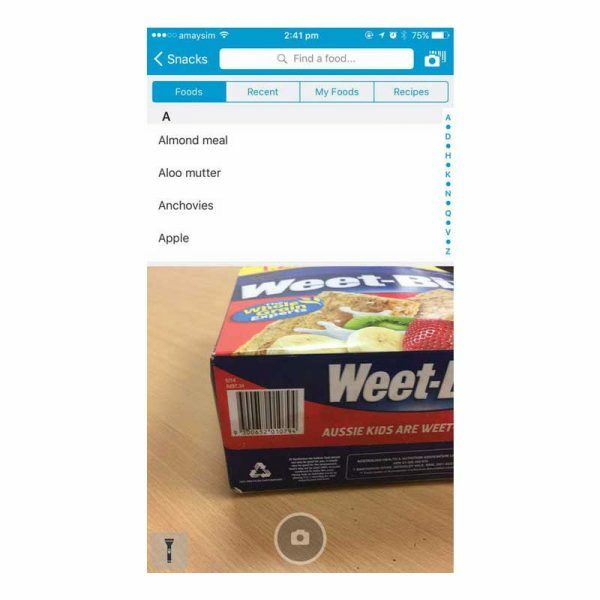 Please note that the app is FREE to download here and use right away! 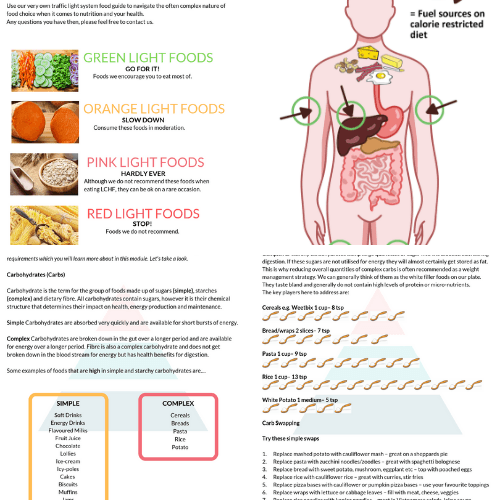 How can you create the LCHF balance in a bowl? 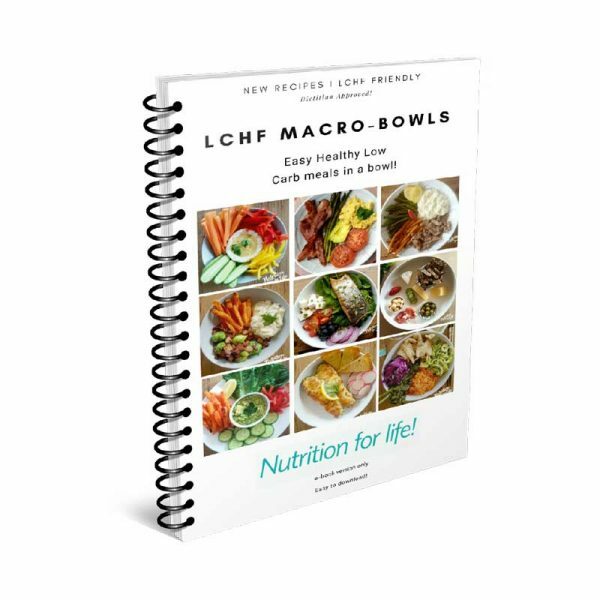 We have some tasty, easy and healthy ideas in our Macro Bowl recipe eBook. 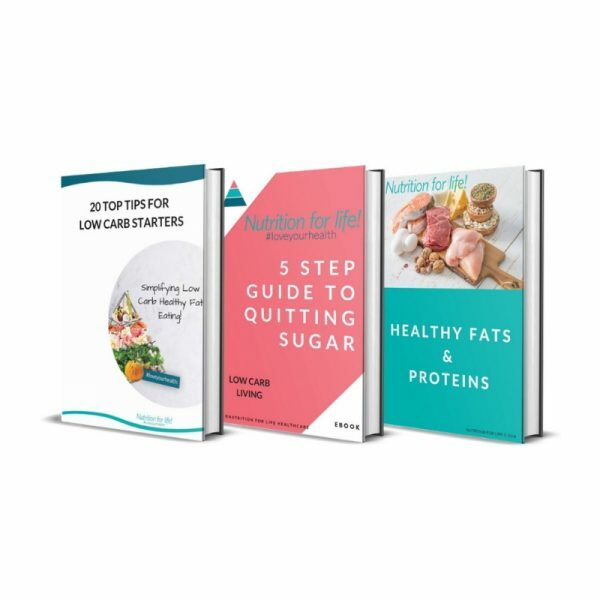 Sign up to receive our LCHF updates which will keep you inspired and on track! 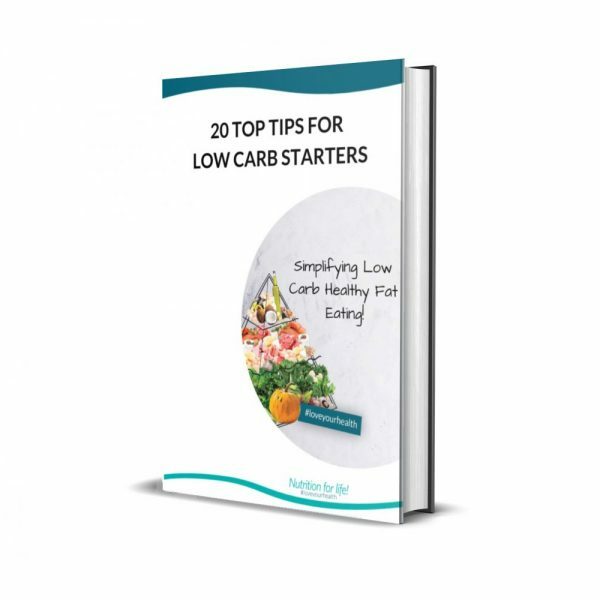 Lower Carbohydrate and Healthy Fat (LCHF) is the replacement of carbohydrates in your diet with fresh food lower in carbohydrates and higher in natural fats.